Exo 8:5 And the LORD spake unto Moses, Say unto Aaron, Stretch forth thine hand with thy rod over the streams, over the rivers, and over the ponds, and cause frogs to come up upon the land of Egypt. This may look a little sloppy, but I couldn't get a piece of angel food cake cut out in a perfect piece. I don't think the kids at church mind anyways. Cut a small piece of the angel food cake out and place in the cupcake wrapper. Smear frosting on top. Sprinkle green sprinkles on top. 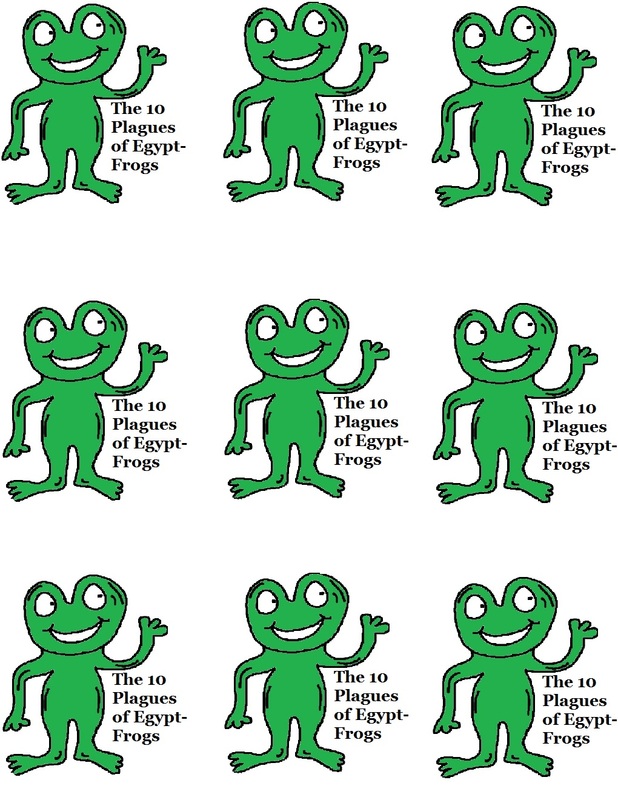 Print the frog template out. Cut it out and tape to a toothpick. Stick that in the cupcake. This may look a little sloppy but you really can't cut a piece of angel food cake out that fits down perfect in the cupcake wrapper. I don't think the kids at church mind anyways. Here are the regular cupcakes made with a box cake mix.